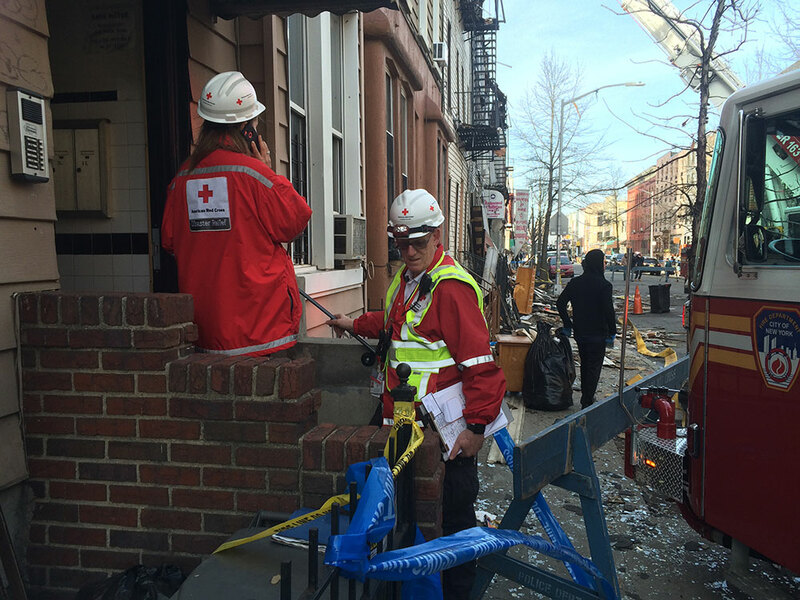 Red Cross Responders at the scene of 6-alarm fire in Bushwick, Brooklyn. Over the last 7 days, the Greater New York Red Cross provided emergency assistance to 212 adults and 84 children following 50 local disasters. Here are some highlights from last week and a preview of upcoming activities (see below). On Saturday, the Metro New York North Red Cross held its annual Red and White Ball fundraiser in the NetJets Hangar at Westchester County Airport. The decorated General Raymond Ordierno and his wife, Mrs. Linda Ordierno, were honored for their lifetime of service to the armed forces. Starting last Friday and throughout the weekend, the Greater New York Red Cross held a 3-day Disaster Ready Summit filled with new training courses and expert panels. On Friday, we also shared the photo and story of Edelmira Vargas who lost her home in Bushwick, Brooklyn to a fire earlier in the week. Sadly this was not the first time she had lost her home to disaster, but she found comfort in knowing the Red Cross was there to help. Thursday afternoon, two Hicksville families turned to the Red Cross after a fire tore through their homes. Thank you to our volunteers who were on scene to help their neighbors when they needed it most. On the same day, we also posted the third episode of Hope Starts Here. In this episode, Greg and Stephanie discuss two major upcoming events at the Jolly Goat Coffee bar in Hell’s Kitchen. Tuesday proved to be a very eventful day at the Greater New York Red Cross. In the afternoon, the president of the Swedish Red Cross Anna Carlstedt stopped by for a visit and discussed humanitarian challenges in Europe. In the evening, Red Crossers gathered in Bryant Park to celebrate the lighting of the Empire State Building in red in honor of the Red Cross. Afterwards, in an amazing act the solidarity, the Syrian Red Crescent Society posted this photo. Later that night, Red Cross teams responded to a massive 6-alarm fire that tore through a half-a-dozen rowhouses in Bushwick, Brooklyn (see NY Times and the NY Daily News coverage). The Red Cross assisted 30 + families throughout the week. Apr 8: Red Cross blood drive: 1 to 7pm: 520 West 49th Street, Manhattan. Schedule an appointment to donate today. Apr 6: #GetAlarmedNYC is coming to the Melrose section of the Bronx this Wednesday. Volunteer to help out or sign up to get your own free smoke alarm installation. Apr 9: Red Cross’s Home Fire Preparedness Campaign is coming to Hempstead, Long Island. Volunteer to help out or sign up to get your own free smoke alarm installation.